A monstrous amount of live show announcements coming your way friends! Thursday March 12th we’ll be playing @elriosf, presented by @passgomgmt and @counterculturemgmt. 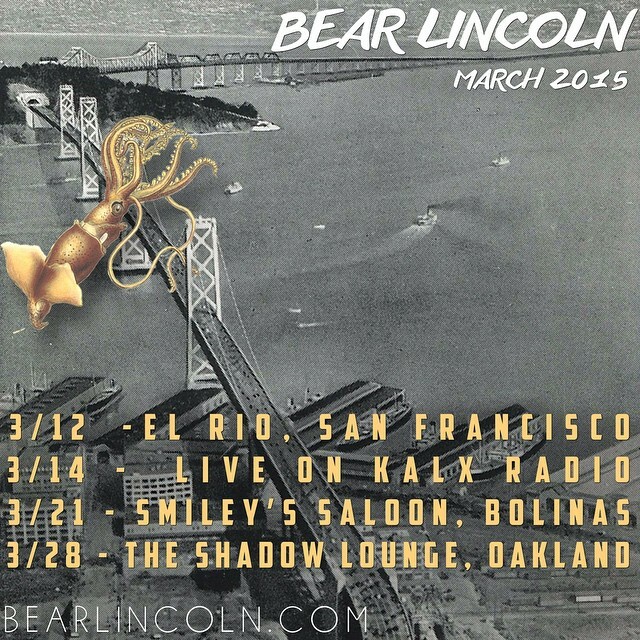 Then we play live on UC Berkeley’s @kalxradio from 9 to midnight on Saturday, March 14th. And finally we’ll be at the @shadowultralounge for a local show with #TheGetawayDogs and @19diamondsmusic on March 28th, presented by @justaintheardofmeyet. Excited for a busy March!